CLOSING IN ON THEIR 20TH YEAR as a musical unit, it seems that California’s Red Hot Chili Peppers have survived it all: drug addictions, breakup rumors, numerous lineup changes and even band member deaths. Still standing strong, the four-piece ensemble dives into the summer with their eighth studio release, By the Way. 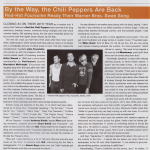 Continuing to move away from their funk-punk roots – an innovative stylistic concoction that enabled the group to carve their own niche in the alternative-rock sphere – By the Way eclipses Californication‘s sparseness and strides into both smooth, melodic and lush, harmony-based zones. The disc is also the first to place a strong emphasis on keyboard-centric layerings and other instrumentally textured sounds. 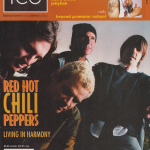 All four Peppers – vocalist Anthony Kiedis, bassist Flea (both founding members), longtime drummer Chad Smith and Frusciante – sat down to discuss By the Way withICE. 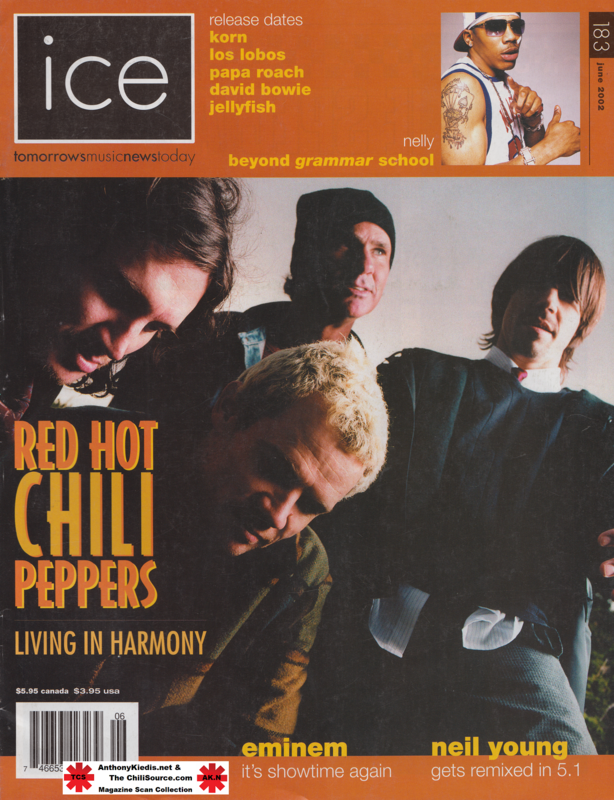 Responsible for the majority of lay-ering and overdubbing work, Frusciante elaborates on his technique and references iconic producer Rick Rubin, who has manned the console on the last four Peppers discs. One such bump came about when Kiedis fell ill midway through the recording process last fall. Album production work was delayed for more than a month, especially as Frusciante was unable to map out his backing vocals or embark on the layering and mixing processes until Kiedis laid down his parts first. 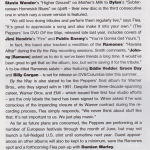 While the band peppered all its early releases with cover songs – from Stevie Wonder’s“Higher Ground” on Mother’s Milk to Dylan’s “Subterranean Homesick Blues” on Uplift – their new disc is the third consecutive one in which nary a cover version is featured. In fact, the band also tracked a rendition of the Ramones’ “Havana Affair” during the By the Way recording sessions. Smith comments, “Johnny [Ramone] asked us to do it; we’ve been fiends a long time. It would’ve been great to get that on the album, too. but we’re saving it for the tribute.” A to-be-titled Ramones salute – also featuring Eddie Vedder, Green Day and Billy Corgan – is set for release on DV8/Columbia later this summer. As far as future plans are concerned, the Peppers are performing at a number of European festivals through the month of June, but may not launch a full-fledged U.S. stint until sometime next year. Guest appearances on other albums will also be kept to a minimum, save the Ramones spot and a forthcoming Flea pair-up with Damien Marley.